Blogging – Write For Yourself Or Write For Other People? It used to be that blogging was a form of self-expression where people wrote about anything and everything under the sun. However, blogging has evolved into something where you write about anything and everything that's related to a particular topic. This is a far cry from its roots, but that is the trend in blogging these days, and it's something you should know if you want to start one. However, just because blogs have to revolve around a certain topic, it doesn't mean they can't be fun or expressive. On the contrary, if you're writing about something you're very passionate about, you can gain a following for yourself and earn money along the way. For example, if you're passionate about building and growing a business and have the track record to prove it, you can talk about business strategies to help other people. There will always be people who want to go into business, and there will always be people who struggle with their business. You can fill a gap in this niche by writing about what you already know. 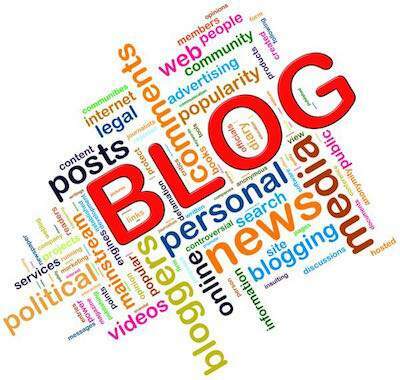 One critical aspect to blogging is marketing, or spreading the word that you have this blog and that it contains very useful information about this or that topic. You can do this in several ways. One is to make your blog rank on Google for its most relevant keywords. The easiest way to do this is by buying a Search Engine Optimization (SEO) course or by hiring an SEO expert right away. You can also submit your blog to the different blog directories. You can also use your social network on Facebook by asking them to share your blog on their own walls. Any one of the things mentioned above can help get the word out about your blog. However, if you want to build a solid following of people, you need to write informative articles that are worth sharing. If there are topics you're not familiar with, simply find websites that contain relevant information then share it on your blog. There are roughly two types of blogs: free blogs and self-hosted blogs. Free blogs are the ones hosted on Wordpress or Blogger. With a self-hosted blog, you need to buy a domain and subscribe to a web hosting service like Hostgator. If you're not ready to spend $20 on a domain and hosting service, then by all means create an account on Wordpress or Blogger and create a blog from there. However, set a deadline for when you will upgrade your blog to a self-hosted one. While there's nothing inherently wrong with free blogs, they are NOT your property and there's no telling when those free blog sites are going to close your blog because you're in violation of their Terms Of Service. It's happened to bloggers before and it can happen again. In order to earn money from your blog, search for products that are related to your blog and then check if they have an affiliate program that you can sign up for.